How Do Registration Loans Work? Where do you turn to when an unexpected, costly life emergency pops up? The average person is not going to have $3,000 just sitting around waiting for an emergency to happen. Life can be expensive. Most people will seek out an auto title loan to help bridge the gap. But what do you do when you are still making payments towards your vehicle and the title is not in your name? Say hello to registration loans. 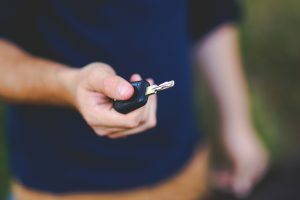 What is the Difference Between Registration Loans and Vehicle Title Loans? Auto title loans come with several advantages over registration loans. Since you are using your vehicle as collateral, you are going to get a much lower interest rate with an auto title loan. Registration loans come with much higher interest rates, as there is no collateral involved. These loans also do not require a credit check. Tio Rico is Arizona’s leading lender of registration and auto title loans. Visit one of our many locations to find out how you can qualify for a registration loan today.